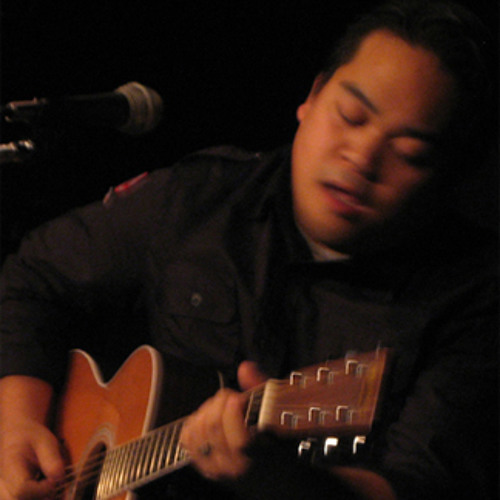 Jason Consolacion has established himself as an impressive singer-songwriter, catching the ear of an expanding audience. His style of rock incorporates a number of elements, including folk, jazz, blues and funk. A graduate of Houston's nationally-renowned High School For The Performing And Visual Arts, and always dedicated to being a student of all types of music, Jason has used his knowledge of various styles to incorporate a concoction that has been described as "a cross between Paul Simon and Stevie Wonder." Jason was born in Vancouver, British Columiba, and moved with his parents and younger sister to Houston when he was 6. The son of a concert pianist, Jason turned the influence from his mother into a dream that has led him to where he is today - playing his songs and affecting people with pop- and jazz-laden melodies and lyrics everyone can relate to. Jason's musical influences cover a large variety of personalities, including the aforementioned Paul Simon and Stevie Wonder, The Beatles, Michael Jackson, Eric Clapton, Miles Davis, Herbie Hancock, Joni Mitchell, Elvis Presley, Elton John, The Police, and, of course, his mom. Those who have heard Jason's songs live or on disc have been taken by the freshness of the writing, singing and playing. Now living in New York, the singer-songwriter hopes to continue to play for as many people as he can while maturing as a respectable musician. Jason has played at such venues as The Bitter End, The Knitting Factory, The Cutting Room, Nuyorican Poets Cafe, Cornelia Street Cafe, Arlene's Grocery, Caffe Vivaldi, and Cherry Lane Theatre in New York City; Genghis Cohen's in Los Angeles; The Burren, The Asgard, and Skybar in Boston; and Ovations Jazz Club, Anderson Fair, Main Street Crossing, McGonigel's Mucky Duck and The Artery in Houston. Jason has also performed at the South By Southwest Music Festival in Austin, TX, in 2005, 2009 and 2010. Jason also has an acoustic folk-pop duo outfit called FAKIN' IT, in which he plays guitar and sings alongside jazz vocalist Zack Foley. In addition to their original compositions, they double as a Simon & Garfunkel tribute group. Jason's discography includes an EP titled UNCERTAIN AIR (2003), two full-length albums named EVERYTHING'S OK (2004) and ACOUSTIC BOOGALOO (2005), and the EP titled THE POOL TABLE MATTER (2006). In January 2012, he released two new full-length albums simultaneously: NOVEMBER SESSIONS and STREAMING THE MAINS. All of Jason's music can be purchased on iTunes.